The premiere for HBO’s final season of Game of Thrones on April 14 is possibly the most anticipated television event of the year, if not of all time. In addition to its compelling narrative, the popular show has been praised for its highly-detailed production that brings the world of Westeros to life. As you watch the final episodes, pay close attention to the embroidery on each costume. There’s a good chance those threads came from Kreinik, a family-owned business located in Parkersburg. Family is a major theme in Game of Thrones. So, it’s fitting that family has been a common thread tying together Kreinik’s nearly 50-year history. Like many family-owned businesses, Kreinik had a humble beginning. It was started in 1971 by Estelle and Jerry Kreinik. Estelle, a needleworker at the time, wanted access to more interesting threads, so she started making her own and eventually spun her hobby into a business. Doug, Estelle and Jerry’s son and current owner, joined the business in 1983 and employs several other family members. Now in its second generation of family ownership, Kreinik is approaching 50 years of making high-quality silks and metallic threads for needleworkers, crafters, scrapbookers, quilters, fashion houses and even anglers who enjoy fly fishing. Kreinik’s threads also are used by other television and movie productions. If not for a demand in stores across the globe, Game of Thrones’ principal costume embroiderer, Michele Carragher, never would have come across Kreinik’s threads in England. Kreinik’s threads have been used in every season since. As many mom-and-pop-businesses have learned over the years, staying in business often requires selling your goods over the Internet. Kreinik does sell their material online, but Doug said the business needs a new website. Doug first connected with the Development Office’s International Division by attending a seminar about market opportunities in Poland and the export services the state offers. “It was great to find out you don’t have to do it all yourself,” he said. 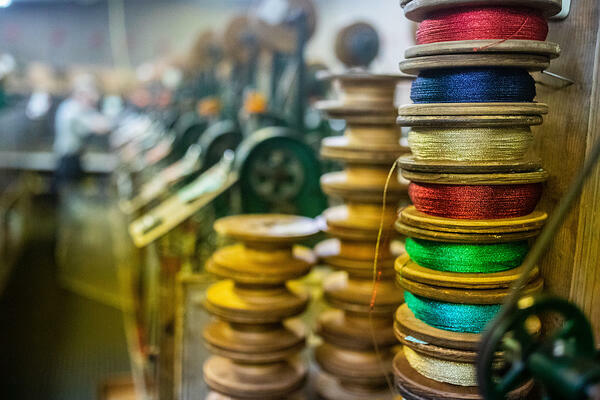 Since then, Doug has worked with the Development Office to not only get a grant for Kreinik’s website but to locate a local spool maker in Point Pleasant. 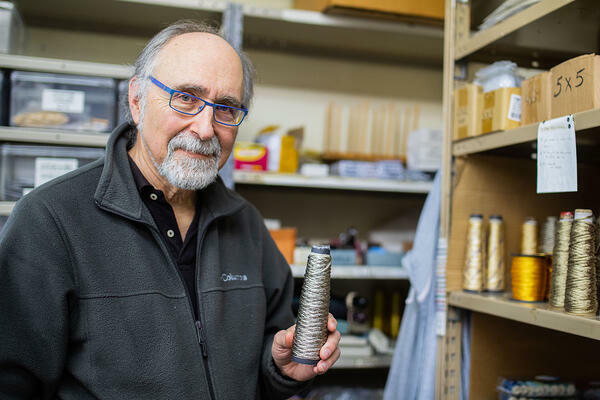 In addition to launching a new website, Kreinik has started offering tours of its facility and will soon expand its business to include space for classes. For more information about Kreinik, visit their website at www.kreinik.com. The West Virginia Development Office helps businesses move to the Mountain State, expand facilities, export goods, train employees and more. Learn more about the Development Office’s available resources at www.westvirginia.gov.